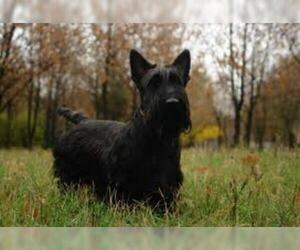 Overview: The Scottish Terrier is a very dignified dog. He's rather reserved and may often prefer the companionship of one particular family member. His loyalty is unmatched. 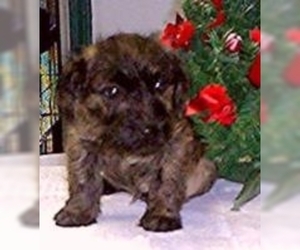 Colors: Black, wheaten, or brindle of any color. 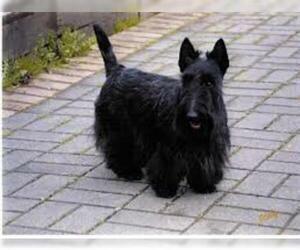 Coat: The Scottish Terrier has a broken coat, it is hard, wiry outer coat with a soft, dense undercoat. 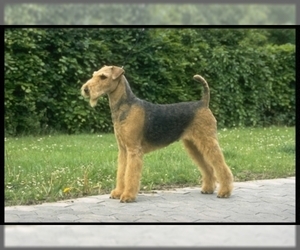 The longer coat on the beard, legs and lower body is slightly softer. The distinctive eyebrows and beard add to its expression, which is keen and sharp. 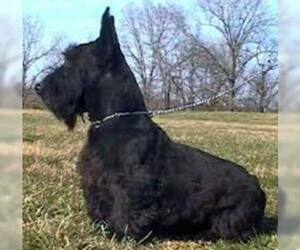 Character: Scottish Terriers are very closely bonded to their family. 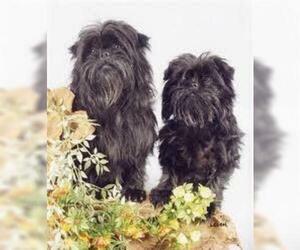 Known for their watchful nature, these dogs are independent and intelligent. 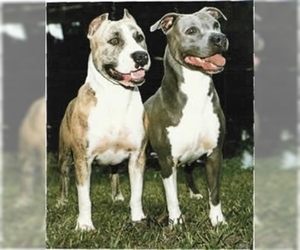 Temperament: This breed is naturally inclined to get along with other pets. They are good with children, as long as the kids treat them gently and with respect. 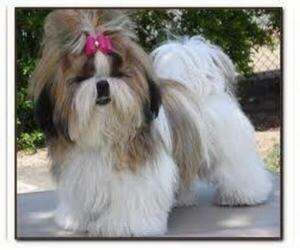 Care: Its wire coat needs combing two to three times weekly, plus stripping every three months. Pet's coat may be clipped. 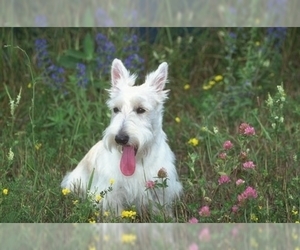 Training: This breed should receive consistent training with a respectful approach. Done properly, training will go very smoothly. 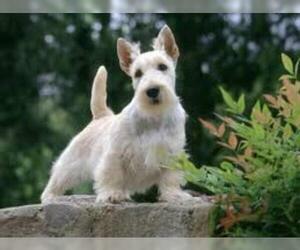 Activity: This is a dog on the lookout for adventure, and it needs some excitement and exercise in its life every day. 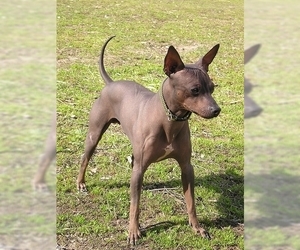 This can take the form of a moderate walk on leash, a boisterous game, or an off-leash exploration in a safe area. 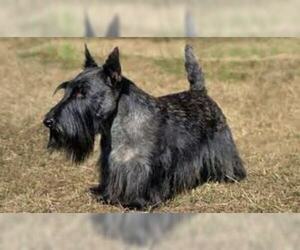 Health Issue: This breed is prone to Scottie cramp (a movement problem), flea allergies, skin and jaw problems. Displaying 1-5 of 19 result(s). Colors: They come in red, wheaten, wildboar, black, brown, chestnut.